You are unique – PHYRIS is too! No person is like the other from head to toe – it is great that human beings are so individual. Also the personal preferences and demands regarding the perfect skincare are different from one person to another. This is exactly the point PHYRIS plays the joker! 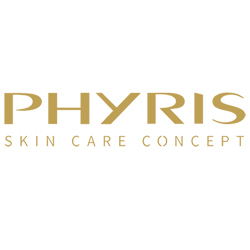 PHYRIS responds individually to your demands, your skin and your preferences and offers the perfect care for each of your circumstances in life – high effective and with best skin tolerance. The elaborated 3-Phase Care Concept of PHYRIS outclasses conventional care methods. This concept offers best skincare results for each individual skin type and demand as strengthening & regenerating, moisturizing & refreshing, solving skin problems & calming. The unique Phase 2, with special activating SOMI products plays a very important role. The effectiveness and tolerance of all PHYRIS products is checked regularly with volunteer test persons under medical supervision. Animal experiments are of course a no-go. An international network of most innovative laboratories has been knitted to ensure PHYRIS is always up-to-date and can offer the latest technologies in skincare to the customers worldwide.